The Baan Pra Nond Bed & Breakfast is conveniently located near a variety of shops, restaurants, and nightclubs in the Sathon district of the bustling city of Bangkok, within walking distance to a number of local attractions such as the Jael Aeung Beal Chinese Temple and the State Tower. The hotel is also situated near Surasak sky train station and 25 km from Suvarnabhumi International Airport. 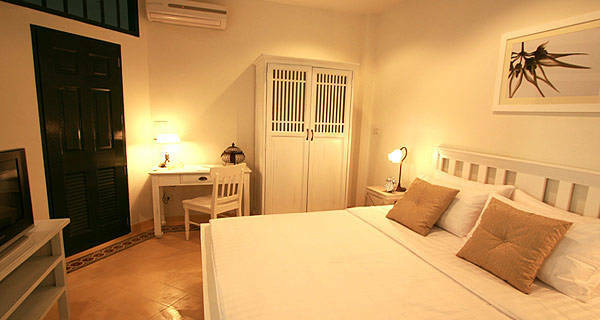 Baan Pra Nond Bed & Breakfast has 9 comfortable and modern guest rooms featuring simple yet stylish decor and tiled floors. Each room comes equipped with a private bathroom, LCD TV, desk, air conditioning, and free Wi-Fi access. Guests of the hotel are welcome to enjoy the various amenities the hotel has to offer. 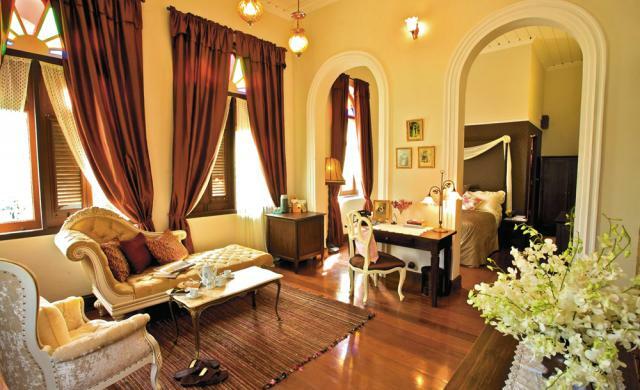 Baan Pra Nond Bed & Breakfast in Bangkok! The Cabochon Hotel is located in the Sukhumvit district of Bangkok, known for its excellent shopping, restaurants, and nightclubs. The hotel is situated near the Phrom Phong and Thong Lor Skytrain stations, K Village Mall, and the Rasayana Retreat. Cabochon Hotel has 8 comfortable guest rooms featuring classic decor and hardwood floors. Each spacious room comes with crisp white linens, private bathroom, balcony, minibar with complimentary water, air conditioning, and free wireless internet access. The hotel also offers room service, laundry service, and a concierge for guest convenience. 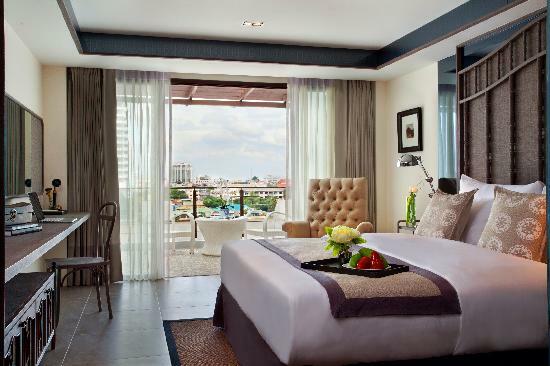 The recently built Riva Surya Bangkok Hotel is conveniently located in the vibrant city of Bangkok. The hotel is situated within walking distance to popular attractions such as the National Museum, Thammasat University, Praathit Pier, and a wide range of restaurants and shops. The hotel is also situated 30 km from the airport. Riva Surya Bangkok Hotel has 68 comfortable guest rooms, each featuring a private bathroom, TV, refrigerator, and complimentary Wi-Fi access. The hotel also offers concierge service and a tour information desk for guests who wish to explore the city or visit local attractions. The on-site restaurant serves both regional specialties and international favourites. Riva Surya Bangkok Hotel in Bangkok! 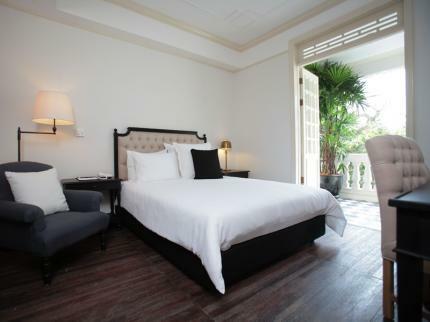 Awarded the Best Value Hotel in Asia for 2010 by Sunday Times Travel Magazine, The Shanghai Mansion Boutique Hotel is located in the heart of Bangkok's China Town district, near the Chao Phraya River. The hotel is situated close to the Hua Lumpong MRT station, which is connected to the Skytrain, giving guests easy access to all parts of the vibrant city. 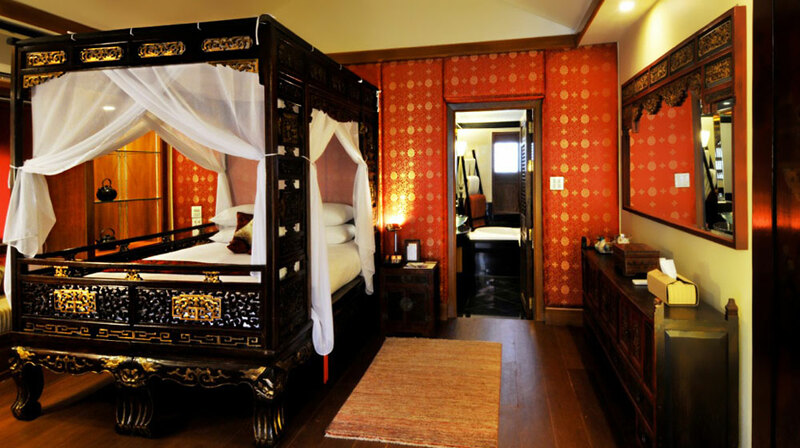 Shanghai Mansion Boutique Hotel has 78 spacious and comfortable guest rooms featuring colorful Thai decor and 1930's-style furnishings. 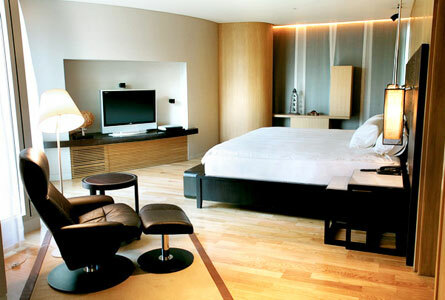 The hotel also features a concierge service and tours of the area for guests that want to explore the city. The full-service bar offers a variety of cocktails, while the restaurant serves a delicious mix of regional and international cuisine. 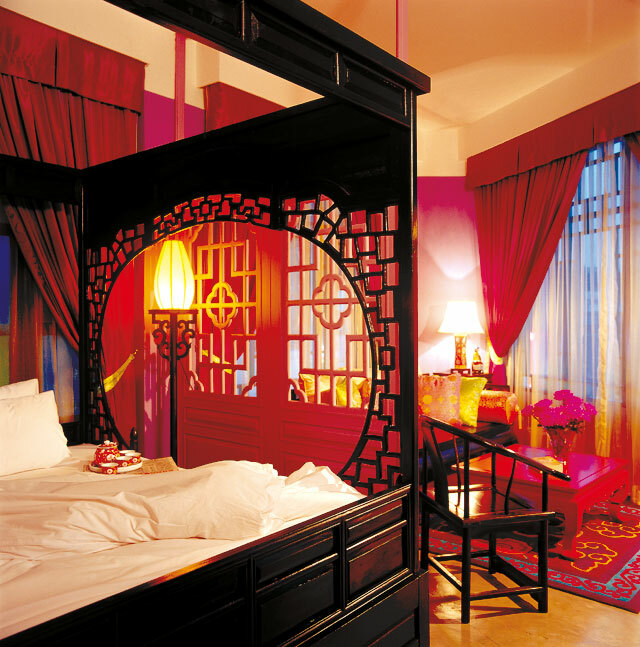 Shanghai Mansion Boutique Hotel in Bangkok! The LoogChoob Homestay is located in the vibrant city of Bangkok, near a number of the city's main attractions, including Wat Ratchadathisathan Ratchaworawihan, Wat Prasat, and Nang Lieng Market. The hotel is also situated just 30 km from the airport. 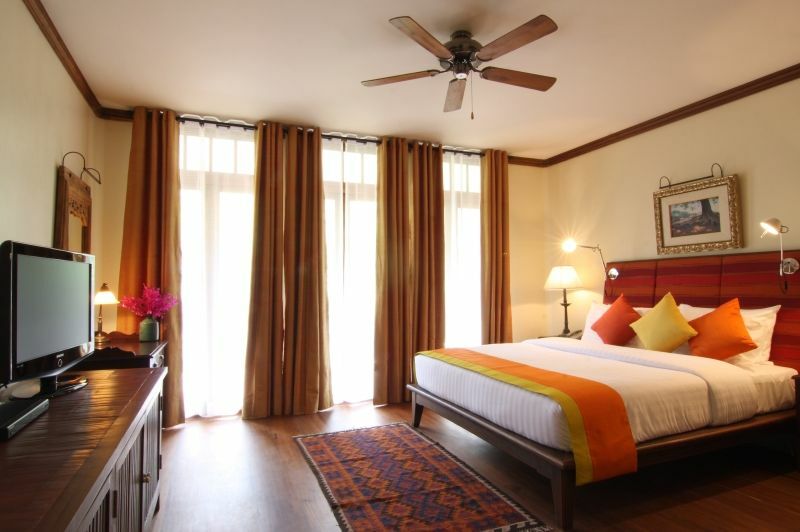 LoogChoob Homestay has 5 bright and spacious guest rooms featuring hardwood floors and elegant contemporary décor. Each comfortable room comes equipped with a stylish private bathroom, LCD TV, large windows with city views, and free wireless internet access. Guests of the LoogChoob Homestay will enjoy the hotel's many features, including a living room with comfortable sitting area, extensive DVD library, rooftop terrace, and friendly and helpful staff. 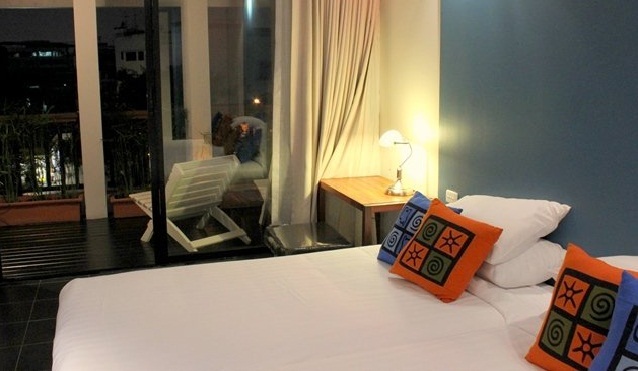 The modern Bangkok Loft Inn is located in the Thon Buri district of the city of Bangkok, near many local attractions such as the Taksin Monument, Santa Cruz Church, Wat Kanlaya, and the Grand Palace. 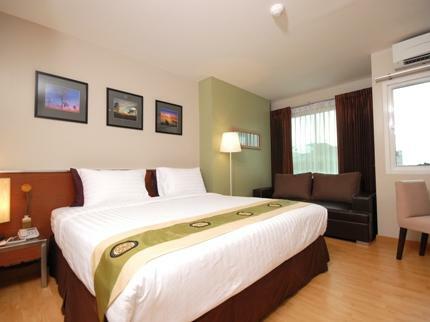 The hotel is also within walking distance to the Skytrain station, where guests can easily access all parts of the city. Bangkok Loft Inn has 32 spacious and comfortable guest rooms featuring stylish contemporary décor and hardwood floors. Guests of the Bangkok Loft Inn are encouraged to enjoy the hotel's many features, including a business center, laundry service, coffee shop, concierge, and a restaurant serving delicious regional and international food with available 24-hour room service. The hotel also features on-site parking for convenience. Bangkok Loft Inn in Bangkok!